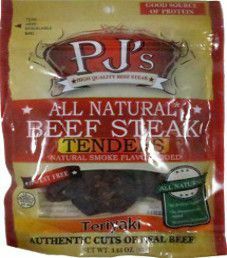 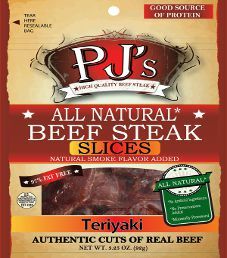 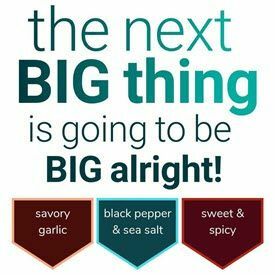 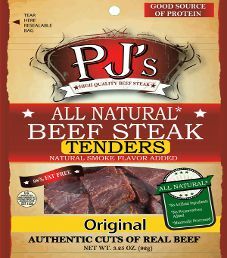 The next review on PJ’s All Natural Beef Steak will be on a 3.25 ounce/92 gram bag of their teriyaki slices style beef steaks. 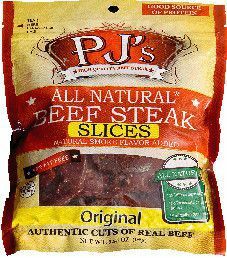 This slices style are strips of steak, as opposed to their tenders style, which are smaller pieces. 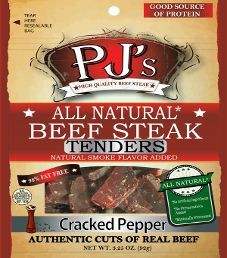 This product was kindly submitted by the Marketing Manager Samantha Alderfer.